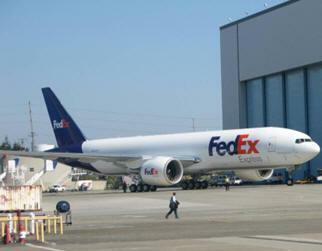 May 14, 2012 - FedEx Express, the world’s largest express transportation company announced that it has signed an agreement to acquire TATEX, a leading French business to business express transportation company. The acquisition represents the latest FedEx investment in delivering sustainable growth in Europe. This transaction is subject to necessary regulatory approvals and customary conditions. Founded in 1976, TATEX is a leading B2B express transportation company for heavy shipments in France. With more than 1,000 employees and a nationwide network which includes a central Hub near Paris as well as 35 stations including 6 regional hubs, TATEX covers all of France and carries more than 19 million parcels each year, representing an annual turnover of about 150 million euros. The company provides a wide range of express and time-definite services for parcels as well as for pallets of up to 800 kg in France and internationally. TATEX is known for providing high-performance services to the high tech, spare parts, automotive and clothing industries. The acquisition will give FedEx Express access to a nationwide domestic ground network which carries 19 million shipments and produces approximately 150 million (EUR) in revenue annually. This latest development demonstrates the company’s continued focus on European expansion. “FedEx has always recognized the importance of our Europe, Middle East, Indian Subcontinent and Africa (EMEA) region and its many unique marketplaces to global trade, and this acquisition shows we are continuing to systematically and strategically invest in growing our network and value proposition in these important areas of the world,” said Frederick W. Smith, chairman, president and chief executive officer of FedEx Corp.
FedEx Express has been steadily broadening its European network and most recently announced plans to acquire Opek Sp.z o.o., a Polish shipping company. These acquisition plans follow the company’s purchase of ANC Holdings Limited, a UK domestic express transportation company in 2006 and of its Hungarian service provider, Flying Cargo Hungary Kft, in 2007. Between October 2011 and the end of May 2012, FedEx will have opened 38 new stations across Europe, including 19 in France, creating new jobs in the process. The company has also invested heavily in its air-fleet providing an additional five B757s on intra-European routes, and another B777 for long-haul routes—bringing the total number of B777s operating FedEx routes in and out of Europe to four. In addition, FedEx Trade Networks has greatly expanded its presence in Europe, including three new locations in France, adding 22 locations in recent years to complement the portfolio of express services. “Once the transaction closes, the combination of FedEx international reach, and the well-established and comprehensive domestic network of TATEX, will be a powerful and valuable combination that will deliver immediate value for our customers, employees and the communities in which we operate,” said Xavier Papot, president, TATEX.